I have found that weekday mornings it is almost impossible to have a good breakfast. Every day it’s the same old routine… I make coffee and guzzle the first mug while I’m getting ready, load up my bag and make a second cup to go. But I need more than just coffee (factor kids into the mix and I’m going to be screwed when that day comes! 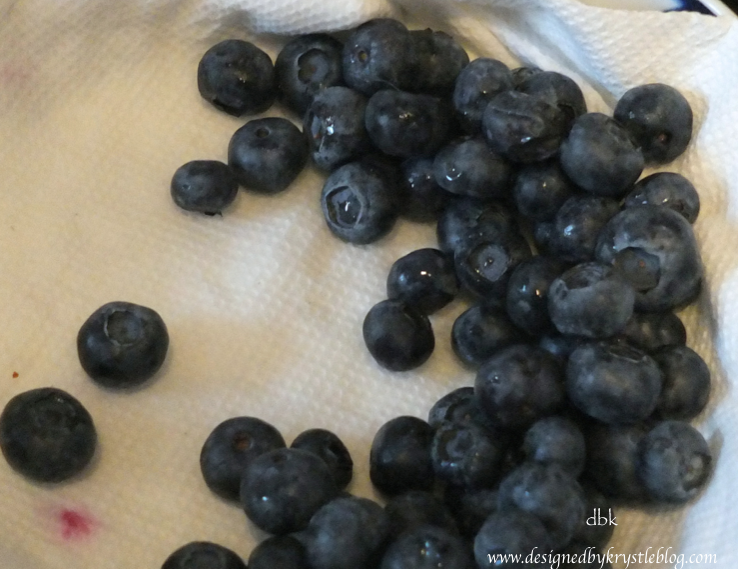 )… so typically I will have a piece of fruit and some protein in the late afternoon at my desk while I’m working. But, you know what would be better than any of that? Pancakes to kick off the day! If only it weren’t such an ordeal to make a batch of pancakes. 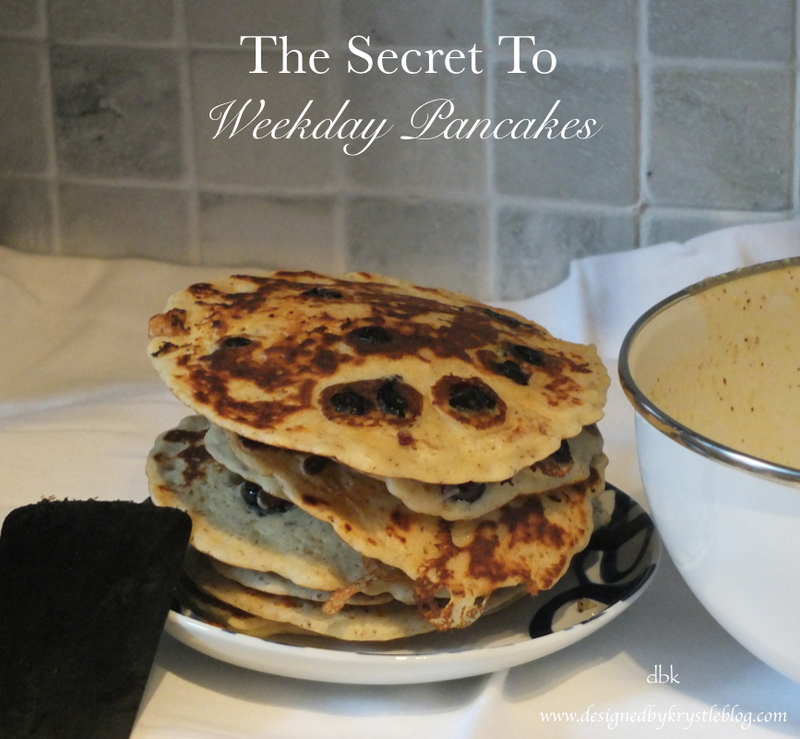 What I like to do when I’m whipping up a batch of pancakes at home is triple the batch and add in some blueberries or chocolate chips. After they have been cooked up, I rip off several pieces of parchment paper, wide enough to fit a pancake, and then I layer on the pancakes. I like to put them in sets of three, with the parchment paper in between. The paper is the perfect size to put a pancake on, fold the paper over, add the second pancake, fold again, and place the last pancake. 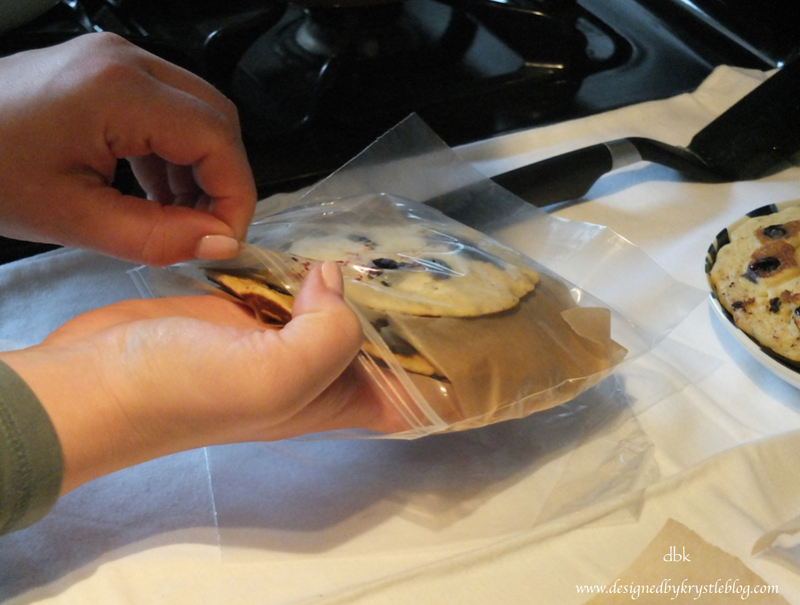 Then you can take your pancake bundle and put it in the freezer. 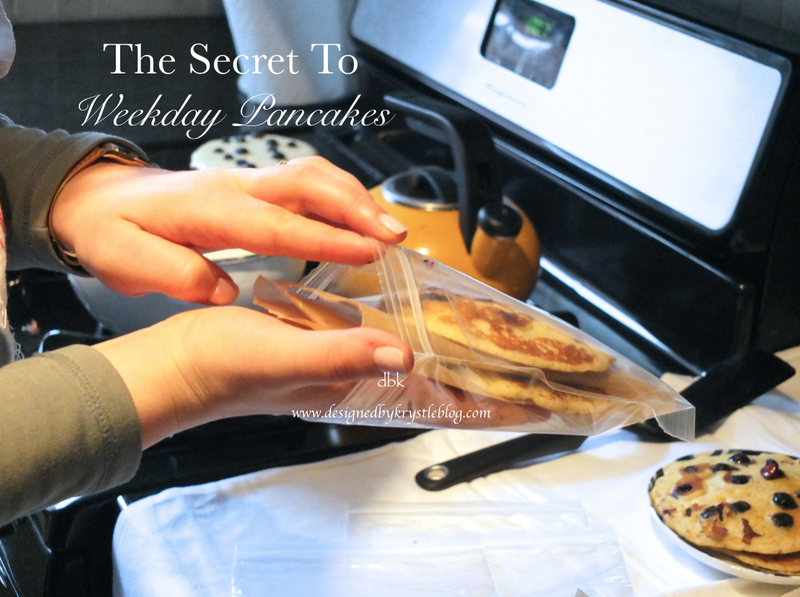 Once the pancakes are in the freezer it’s so easy to just grab a bag, put them on a plate and heat them up in the microwave, or pop them right into the toaster oven. They are so good, so easy and they keep you full so much longer in the morning… why not start your weekdays off on a better note? Not to mention if you do have kiddos, this is a serious crowd pleaser with minimal morning effort!